crow with no mouth promotions presents Australian drummer / percussionist Will Guthrie and New York-based experimental sound artist Ben Owen. crow with no mouth promotions brings vital, seldom-heard music, electro-acoustic composition, and improvisation to Twin Cities audiences. He studied jazz and improvised music(s) at the Victorian College of the Arts in Melbourne, Australia and alongside Ren Walters he started the weekly concert series ‘Improvised Tuesdays’, now known as the Make It Up Club and is Australia’s longest running performance space dedicated to experimental and improvised musics. In Nantes, France he is part of the collective CABLE# which also organizes regular concerts and an annual festival. He also runs the experimental improvised CD label and mail-order service; ANTBOY MUSIC. He plays solo using different combinations of drums, percussion, amplification and electronics, in minimalist/maximalist free jazz trio THE AMES ROOM (with Jean-Luc Guionnet & Clayton Thomas), in appalachian mutant folk duo ELWOOD & GUTHRIE (with Scott Stroud), as well as the electro/acoustic improvised/composed ensemble THYMOLPHTHALEIN (with Anthony Pateras, Natasha Anderson, Clayton Thomas & Jérôme Noetinger). 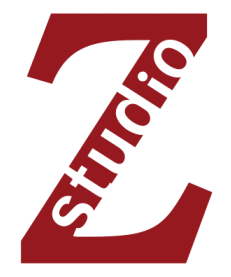 Regular collaborators past and present include Erell Latimier, Keith Rowe, Adam Sussmann, Matt Earle, David Maranha, Ren Walters, Jean-Philippe Gross, Greg Kingston, Helmut Schafer, David Ades, Mark Simmonds. Will currently lives in Nantes, France. This is Guthrie’s Minnesota debut. 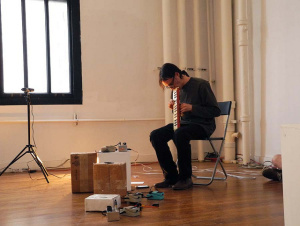 Ben Owen is a Brooklyn, New York-based experimental sound artist who makes frequent use of field recordings. Founder and proprietor of Winds Measure Recordings; the packaging and letterpress printing of which he designs as Middle Press. I am very pleased Ben is joining the crow series this year, following several years of our exchanging hopeful emails that this would become a reality. I have written about several of his fine releases over the years, as well as collecting everything I can from his imprint Winds Measure.